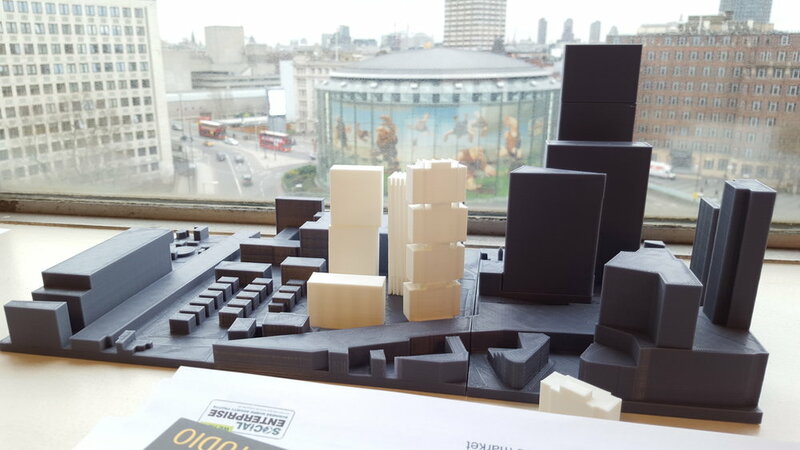 The scheme tests building options for a residential led mixed use development in the heart of the city. 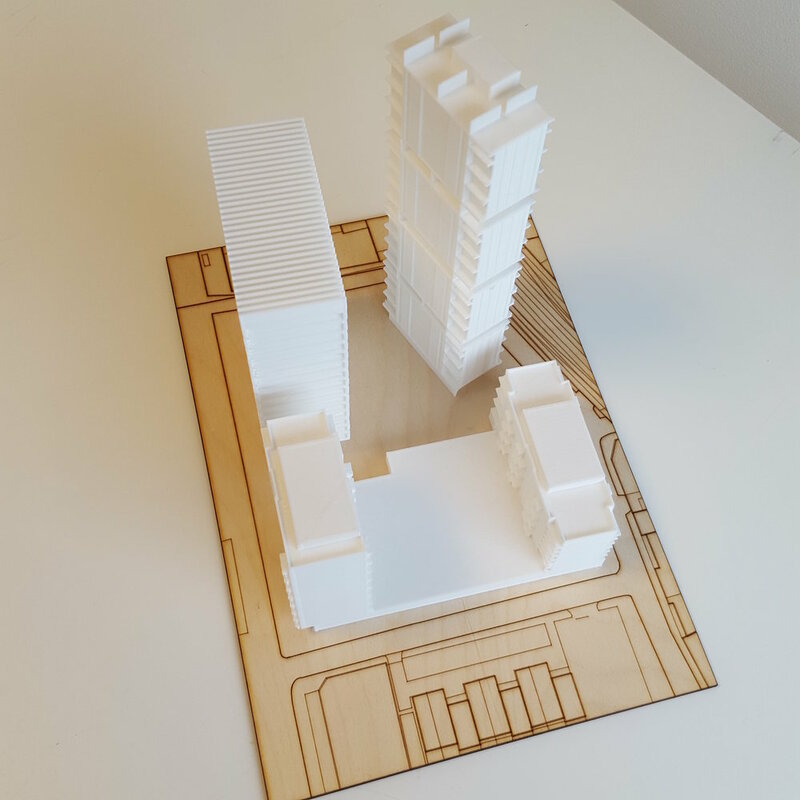 The scheme tests building options for a residential led mixed use development in the heart of the city. A 40 storey residential garden tower is supported by cascading residential blocks of market sale, affordable and PRS tenure. 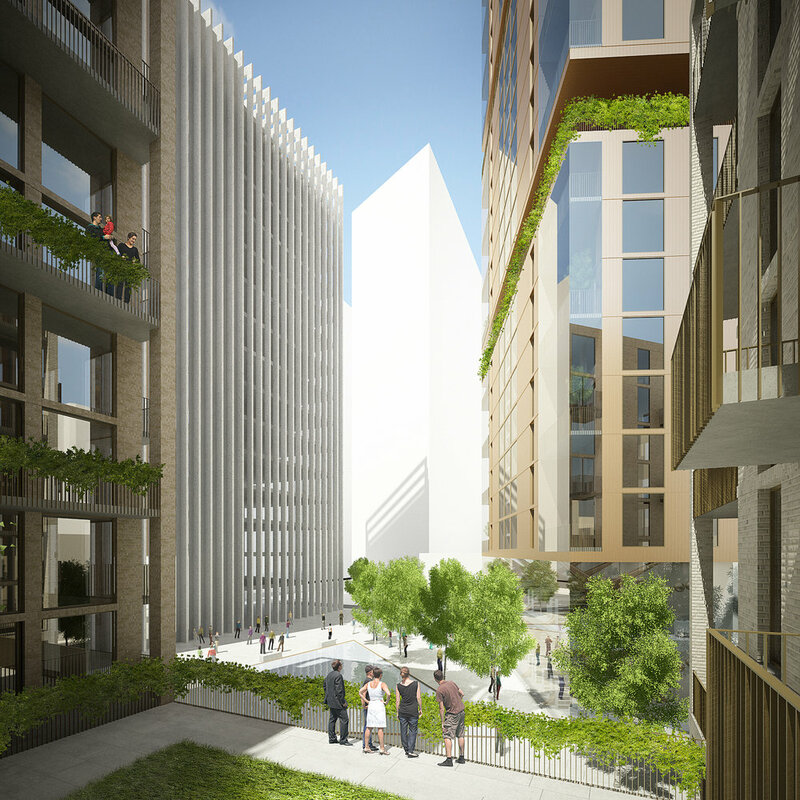 A 20 storey commercial block aligns with the main road links to create a buffer to a public plaza at ground floor. Retail spaces connect with the public plaza at low level creating an active protected space. Podium levels between residential buildings offer shared external amenity for residents raised from ground level. Movement and access through the site shape the massing whilst also being informed by sun path analysis so to develop a considered proposal. The façade treatment controls views and overlooking whilst providing shading, assisting in control of solar gains and overheating.